Renting property to multinational company for commercial use. Commercial property is used for work and business purposes. Work location has more public and more sale. Commercial location has an influx of people from surrounding areas. office property usually have front on main road. Large ware houses and other commercial property could stay vacant for longer period of time as it requires the right marketing plan to find the right tenant. 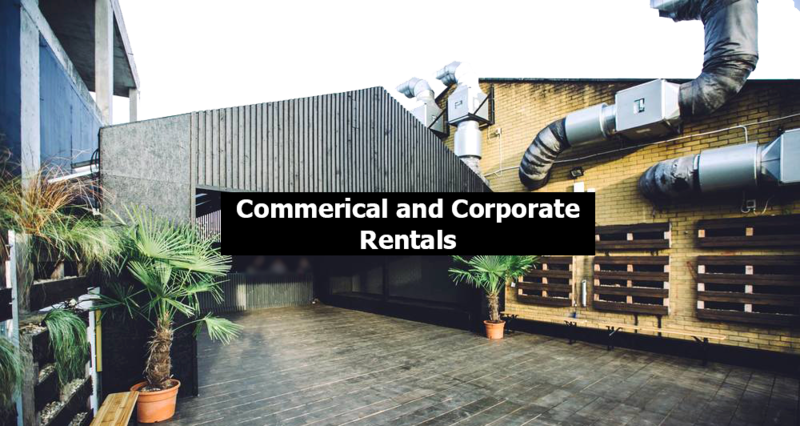 renting out commercial property requires more effort. Most property owners favor contacting professional property advisers to find the suitable tenant for their property. Organizations rent places for their offices, workshops, service centers, medical centers, health services, ware houses, shoping centers, hotels, restaurants, gyms and schools. Real estate communication defines the parameters for matching the right tenant to the space. Makanpoint has more options for their clients while further utilizing its marketing resources. Quetta city is preparing for the new economical business atmosphere. Commercial Hubs are forming with bypasses. Samungli road (click here) connected with the bypass is getting more traffic and is an ideal location for business activity. More billboards and road signs are visible in this area. The making of flyover made it easier for the expansion of samungli road. The expansion of samungli road is visible in front of Dalaan bakers. thus creating more commercial activity. 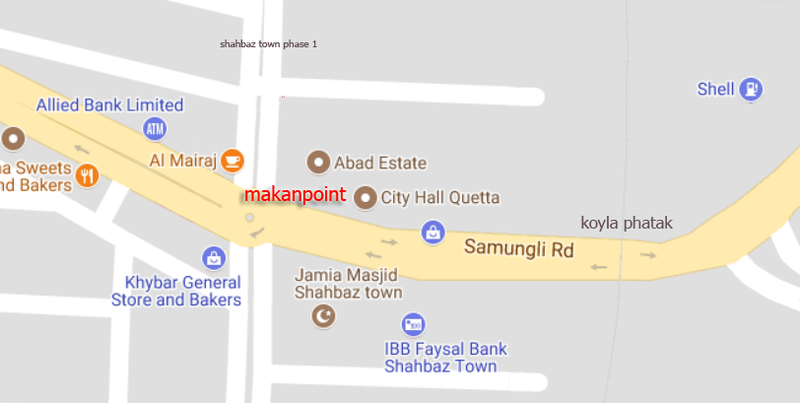 Shahbaz town commercial area is the hub to get to half of Quetta. More companies are moving to shabaz town. Advantages of renting your house to a company with the help of “makanpoint property administration”. Renting property for commercial use with the help of makanpoint can be beneficial in many ways. organizations while searching for house prefers online marketing presence which we offer. area managers pursue the search for new location to rent. Commercial firms require houses for longer period of time. They spent money for extra fixtures and maintenance. The house does not get used much as the office closes at 5 pm and nobody is using the house at night. In metropolitan urban communities, land is hard to discover. Organizations that have representatives on broad travel will secure a property for long haul rent bargains. 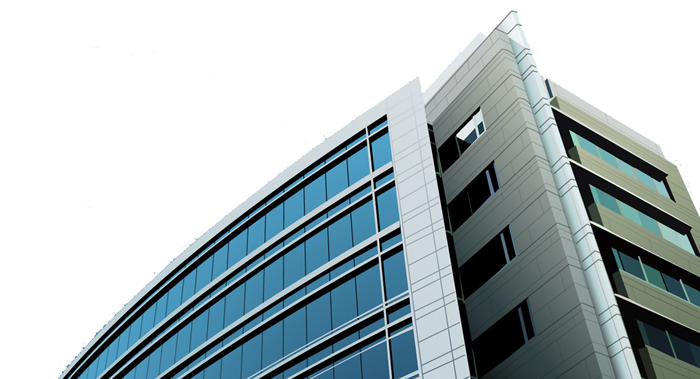 Commercial rental property brings higher rent when rented for the right cause of productivity. Property administration organizations will remain in control with the lease agreement. Reliable lease gathering is the way to accepting rent installments on time, and a property administration organization will uphold rent arrangements if installments aren’t gotten. That way when there are lease installment confusions. Increment occupant maintenance with property administration organizations. Occupants who make the most of their stay in their property will need to expand their stay and recharge their leases. Property management requires knowing how to keep their tenants upbeat. Glad leaseholders are more averse to leave to locate to a superior place to live. Experienced property administration organizations like makanpoint.com see hundreds of tenants. Their prepared eyes realize what signs to pay special mind to while neglecting a candidate’s printed material. Giving them a chance to understand inhabitants is an awesome method to get top notch tenants for your home. What should you do as an owner of the property? Call us and we will do all the work for you. Market your property to organizations that work in the neighborhood. Substantial partnerships will frequently have ventures that set aside a long opportunity to finish, making inn remains unfeasible. Counsel the Better Business Bureau or nearby business exchange distributions to learn what organizations are in the region. Set up together a showcasing pack to convey to their HR offices. The advertising unit ought to contain photographs and general data about the house’s area and number of rooms and restrooms and in addition an estimating plan. Follow-up by calling following five to seven business days to guarantee the unit was gotten and offer to answer any inquiries. Draw up a rental assertion or rent frame. These structures can be state particular, as proprietor inhabitant laws vary from state to state. The general arrangements ought to contain the rental value, length of rent term; states of utilization, right of utilization, late charges, store sums, and anything important to consent to your ward’s proprietor inhabitant laws. Changing your Electricity and Gas Meters from residential type to commercial is required in some cases. Demonstrate the property. At the point when reached by an organization to rent the house, plan a demonstrating time and be set up to answer any inquiries. Keep a few duplicates documents of the rent details in the house to disseminate to any agents that visit the house. Once a term and rental whole is consented to, have the organization consent to the rent arrangement and keep the first and furnish the organization with a duplicate of the executed record. Store any progress monies and give receipts for every installment. Make a checking account for accepting deposits and rent as well as paying for maintenance and other expenses that may occur. Contact a property administration organization like makanpoint to request a rental gauge in light of area and size of the property. Familiarize yourself with the common landlord-tenant law in your area. Makanpoint deals with multinational companies and large businesses on regular basis. We get calls from the head offices of the companies in Karachi and other cities within Pakistan to find them a house in Quetta. They email us their requirements. This is because of extensive marketing campaign of makanpoint website its partners and its other outlets. It’s hard to find ideal companies in city like Quetta. makanpoint.com can help you out with numerous companies. We have rented numerous places to businesses and schools in Quetta that we can show you in order to prospect our services. We turn loss into profit (click here) by renting empty properties. Call us and our staff will come to your location, evaluate your property and advice you about the right tenant for your house. We find the exact tenant for the property in order to seal a long term agreement. We provide all kind of house services for the convenience of our clients. In the event that another person is stressing over dealing with your property and occupants, you get the chance to stress over it less. The property administration organization will do the greater part of the work for you. This will free up time for other activities as a property proprietor. Less pressure and diminished occupant turnovers implies more noteworthy consideration can go towards development and change, rather than dealing with the everyday, littler parts of rental properties. At Makanpoint Property Management, we give brilliant property administration to accomplish ideal goals and incentives for the majority of our clients in contact. Leaseholders and financial specialists advantage from our viable administration methods in promoting, book keeping, support and relationship-building. Our experienced property administration experts work to guarantee long term success. We can find you exactly what you need.